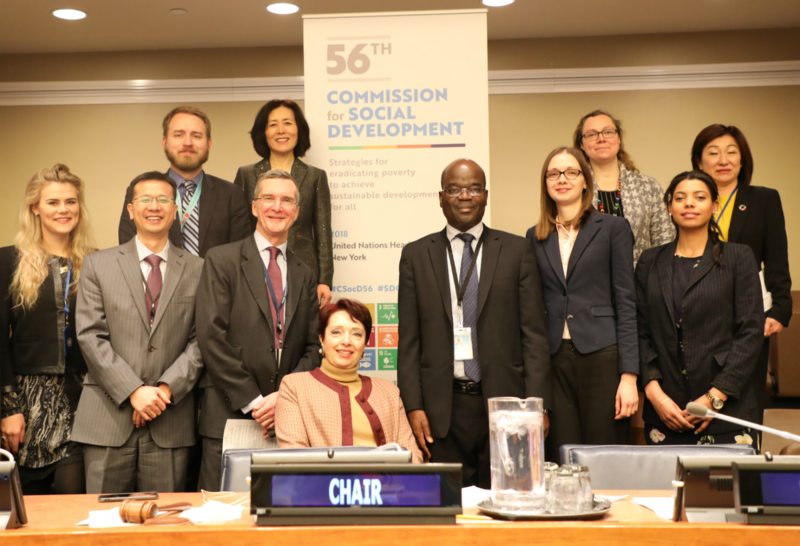 The fifty-sixth session of the Commission for Social Development (CSocD56) took place in Conference Room 4 at the United Nations Headquarters in New York from 29 January to 7 February 2018. The Commission is the advisory body responsible for the social development pillar of global development. This year, the CSocD56 concluded with the adoption of measures by government officials and civil society leaders, including the creation of social protection systems, that would help lift the millions of people still living in poverty, especially those in vulnerable situations. “At the global level, we have experienced impressive reductions in extreme poverty. 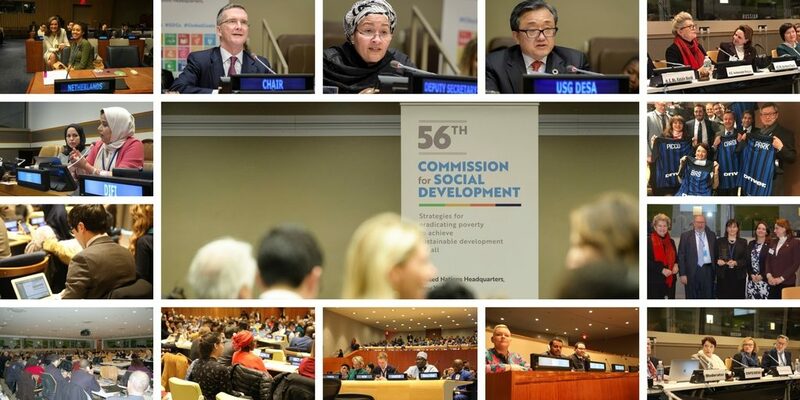 Significant progress has also been made in improving access to schooling and healthcare, promoting the empowerment of women, youth, persons with disabilities, older persons and indigenous populations,” said UN Deputy Secretary-General Amina Mohammed at the opening of the Commission. “However, the drop in extreme poverty remains uneven across regions, within countries and between various social groups,” she noted. Read the latest press release. The Bureau of the Commission for Social Development (CSocD) plays a vital role in facilitating the preparation for, and in ensuring the successful outcome of the session. UNDESA DSPD hosted an Exhibition during the CSocD56. 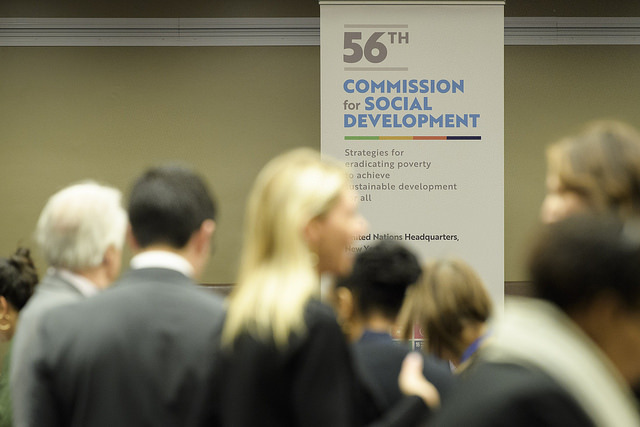 The objective of each exhibit was linked to the priority theme of the Commission: “Strategies for poverty eradication to achieve sustainable development for all”. These included publications, photography, Arts and Crafts and audio-visual materials. The exhibition was open to Governments, UN agencies, NGOs in Consultative Status with ECOSOC and the private sector. 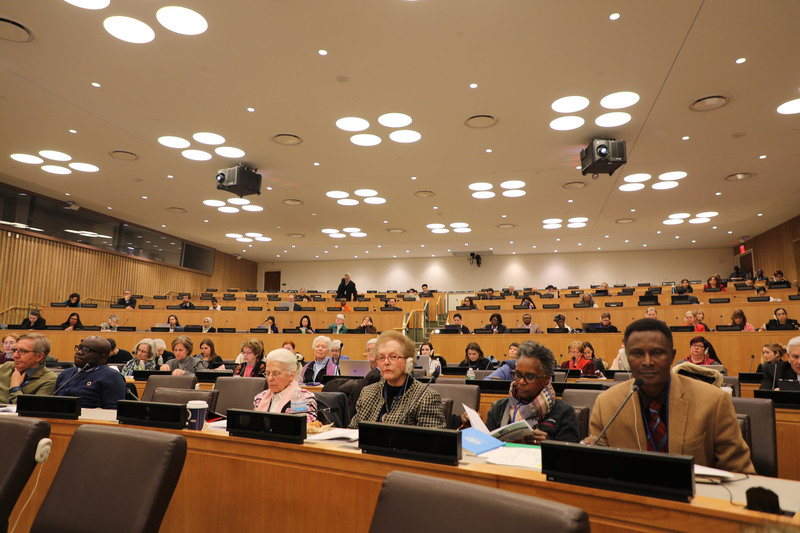 UNDESA DSPD facilitates the participation of NGOs in the sessions of the CSocD. 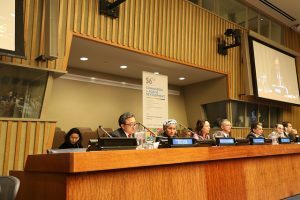 NGOs that are accredited to and in good standing with the United Nations Economic and Social Council (ECOSOC) may designate representatives to attend the annual sessions of the CSocD. 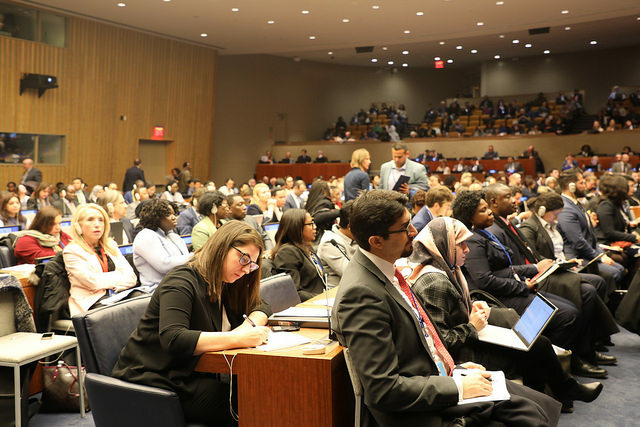 Learn more about the UN ECOSOC accreditation. Modalities of NGO participation and Registration. The deadline is now CLOSED.